Watertown, CT. When this custom side by side duplex was built there was a premeditated thought about outdoor family living in a shared space by both the older generation empty nesters and fledglings with a newborn anchoring other side of this truly unique home. 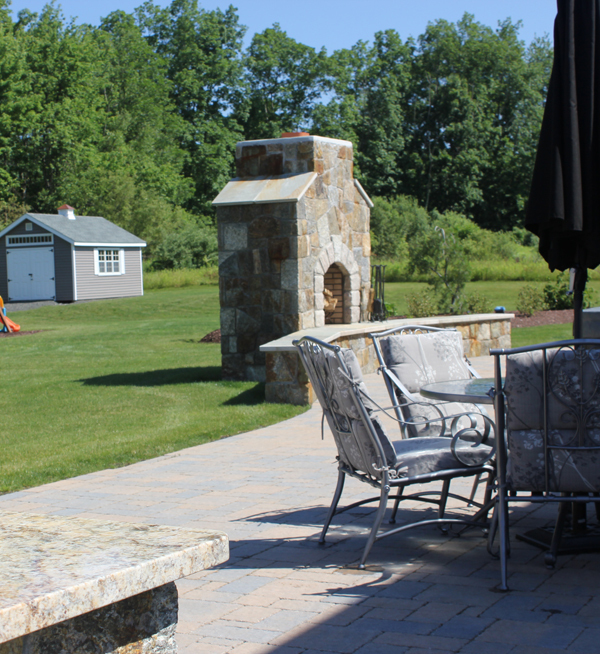 After consulting about the dual purpose of the home, Michael Gotowala outdoor living designer had a dual purpose for the landscape design, sitting walls, outdoor kitchen, spa and centrally located magnificent stone fireplace. The enlarged patio space incorporated a living lifestyle for the entire family to enjoy entirely but large enough space and outdoor living features for private family moments. 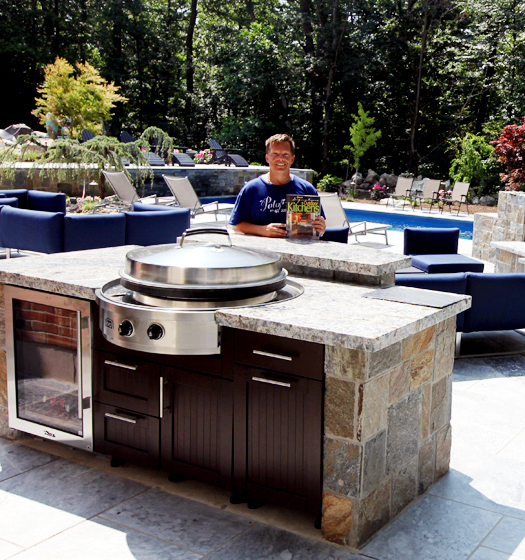 Whether gathered by the fire, in the spa, entertaining and dining by the outdoor kitchen eatery, cooking on the outdoor pizza oven one must say this is quite a spread. The importance of a landscape designer and vision for coherence of aesthetics of the property was badly needed as to not build two independent spaces. 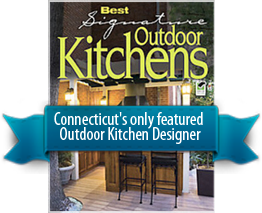 The result exclaimed outdoor designer Michael Gotowala of Preferred Properties was awesome. The huge stone fireplace seen by both ends of each homes central living areas. Great focal anchoring the stone sitting walls. Expanded outdoor kitchen island hosting unique outdoor pizza oven, outdoor grill, danver trash pull and summitt two drawer refrigerator with stone and granite counters.